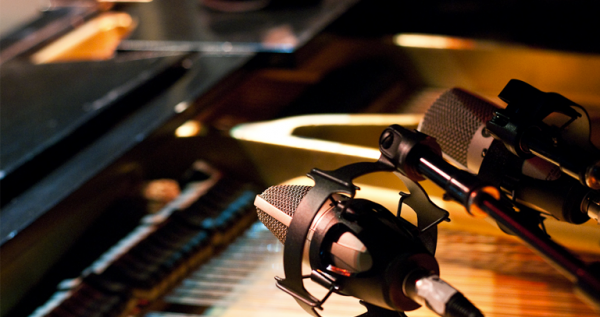 Placing microphones very near the hammers will give your piano recording a very close and tight sound, because there they will pick up some extra ‘attack’ from the sound of the hammers hitting the strings. The stereo image is usually very well defined and spreads the notes from low to high across whole width of the image. The trade off is that you lose some of the mellow tone from the body and soundboard of the piano, and getting too close will mean the mics pick up a lot of noise from the piano’s action (see this article). This technique can easily be combined with others such as close omni mics or miking the soundboard to get the full sound the instrument. As you know, here at Cobalt Audio we constantly review a range of the best plugins that we can get our hands on. We especially like recommending plugins that are unbeatable value for money, to help you build up an outstanding plugin arsenal. Today we are very excited to announce that we have partnered with our friends at Plugin Boutique, to offer you the opportunity to get adding to your list of plugins. 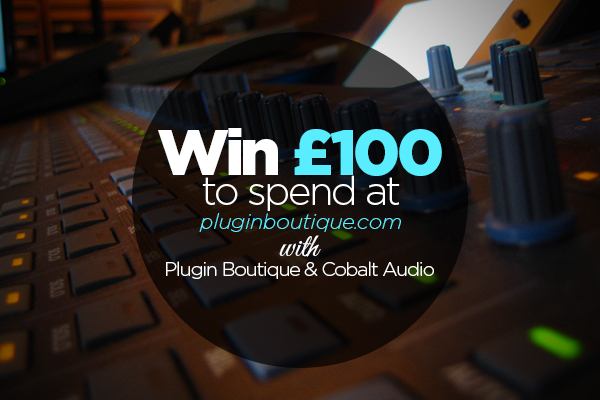 We are offering one lucky person the opportunity to win £100 to spend at the awesome online plugin store, Pluginboutique! Altiverb is a ‘convolution’ based reverb plugin designed by Audio Ease, and comes in both VST and RTAS format. It works by multiplying the incoming audio signal (which can be anything – a complete mix, drum overheads or lead vocals), with the frequency response of an acoustic space or a piece of audio equipment. This simulates how the incoming audio would have sounded in the original acoustic space, or through the piece of equipment you have chosen, and the result sounds fantastic. Altiverb comes with a huge library of real acoustic spaces like the Sydney Opera House, legendary pieces of audio equipment like the Lexicon 480, as well as an extensive selection of sound design spaces like the interiors of vehicles or enormous metal pipes and containers. The library is growing constantly as more and more frequency responses are added by users. 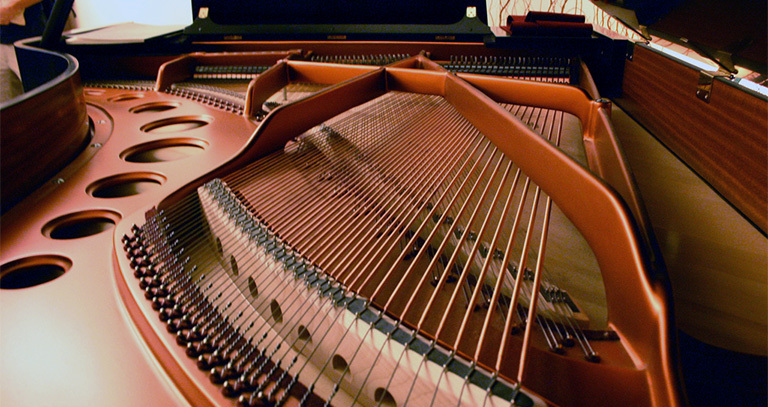 The soundboard in a piano transmits the vibration of the strings in to the air as sound. As such, you can get a very warm and direct sound by miking up the soundboard directly. 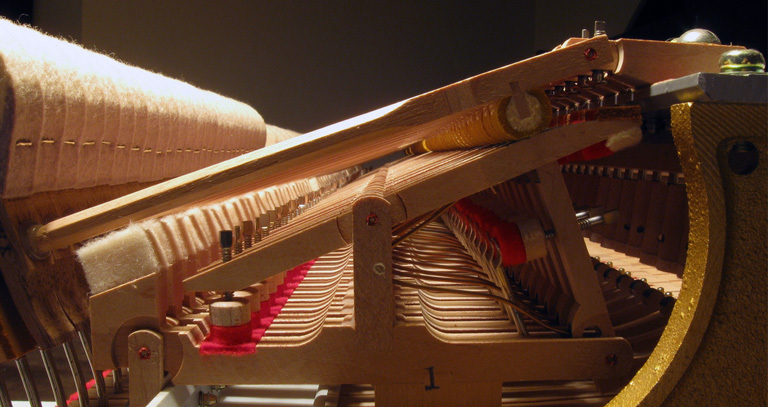 There are a number of ways of miking a piano soundboard, each with its own pros and cons, and each with a different sound. This is by far the easiest way to access the soundboard, as on grand pianos it is left completely open underneath apart from the actual framework supporting it. It is an unobtrusive way to mic up a piano and can very very useful if you are short of space. 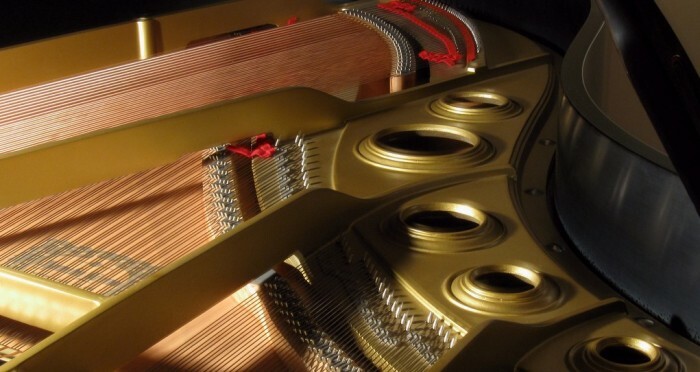 Since mics here are not anywhere near the strings, they will sound very dull on their own but combined with other mic techniques, they will add a very direct and warm tone to the piano sound. Microphones are an extremely valuable tool for every sound engineer, whether they are running live gigs, a professional studio or a home recording. There are a huge range of microphones available and every single one has its own sound, and its own strength and application. We put together this mini series on microphones to give you somewhere to start when choosing a microphone, and how to get the best out of it. We also suggest a few mics that we think are the best value for money anywhere on the market, and which would be ideal choices for anyone thinking about starting up a home studio. Microphones: Beg borrow or buy? In this post you can find an overview of the microphones you are likely to come across when starting out, and a guide on auditioning them and putting them to best use. A selection of microphones that are unbeatable value for money, and will give you at least one suitable microphone for most recordings. A beginner’s arsenal, if you will. This article shows you how to get the best out of dynamics mics, in particular the legendary Shure SM57 and ’58. Using large and small diaphragm condensers to their best, an explanation of the differences between the two and what they’re good for. RescueAE is a free VST stereo-imaging plugin that packs a punch. It has a more specific application than most regular plugins and as such is probably best suited to slightly more advanced users. The plugin works on a stereo channel, but instead of treating the left and right channels independently like you might expect, it encodes them to give a ‘middle’ and a ‘side’ channel. The middle channel is the mono part of the audio, everything that is identical on the left and right channels and sits in the middle of the stereo image. The side channel contains the rest of the audio, everything that is not in the center of the stereo image. Dividing a stereo channel into ‘middle’ and ‘side’ like this gives you very precise control of the stereo image, which is useful, but RescueAE has a few more tricks up its sleeve to take it from being just useful, to a must-have plugin. The main two sections of RescueAE are the middle (‘Mid’) and side panels. They both have independent gain controls and can be muted independently, so you can hear clearly the changes made to one section at a time. 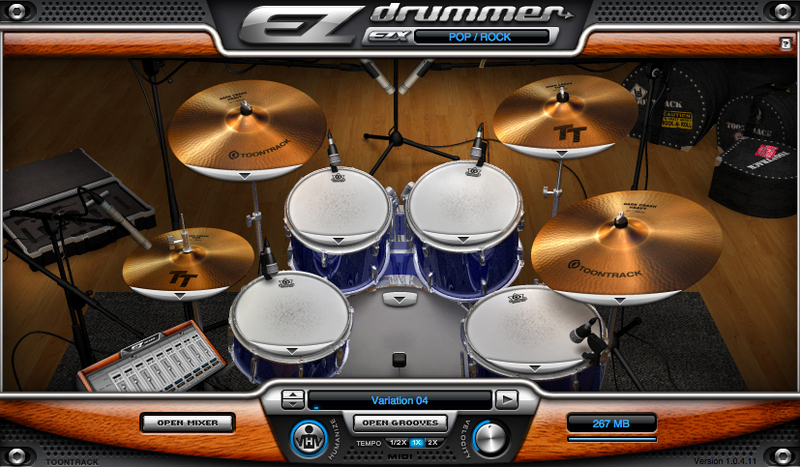 EZdrummer from Toontrack is an underrated virtual instrument plugin for €119. It comes with one of the best drum sample libraries around and is VST, RTAS and AU compatibile. It’s really intuitive to use and comes with a whole range of preset ‘grooves’ to get you started really quickly. You can use EZdrummer as you would any other virtual instrument, create a MIDI channel and load it as a plugin. You can then program in the MIDI data either manually or by recording it with a MIDI controller. With some basic understanding of how a piano works and sounds, the mammoth task of recording one is much simpler. Choosing microphones and positioning them for a piano is something of an art, but it’s really enjoyable to learn as there are so many opportunities to experiment and play around. If you’re a regular subscriber to Cobalt Audio, you will know that we love doing Massey plugin reviews simply because their plugins sound great and are so useable. So you can understand how excited we are to announce that they are releasing a range of VST plugins! Up until now Massey have exclusively written RTAS plugins for Pro Tools, but they will be rolling out vst versions throughout the year. That means that if your DAW can run VST plugins, you need to go and try Tapehead out! The first plugin to be released as a VST is the Tapehead Saturator. Tapehead is right in line with Massey’s track record. It’s dead simple to use, it sounds great and as always it’s free to demo for as long as you like! Pianos are arguably the hardest acoustic instrument to record well. They are capable of producing a frequency range wider than humans can hear, and the way they radiate sound is not at all linear so moving a microphone a foot or two, or even a couple of inches can completely change the tone it picks up.